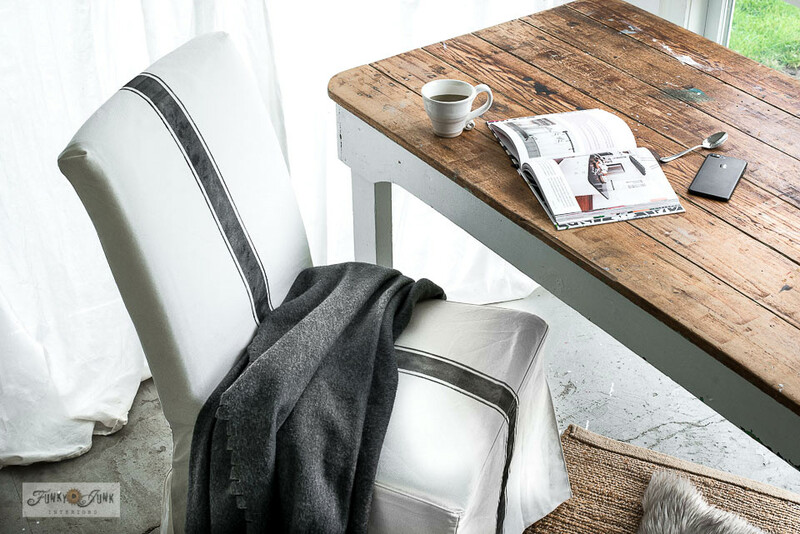 I’m also going to show you how to grain sack stripe an Ikea slipcovered chair that is the perfect companion for my trestle desk! 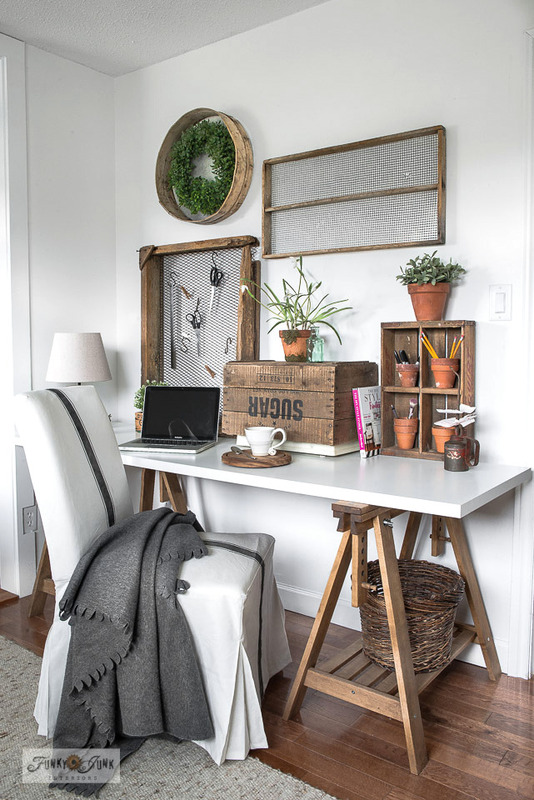 This chair a mix of old, new and a whole lotta farmhouse-style! But first… here’s what inspired me. In an age when most everything comes to you via email these days, it’s a pleasure to get happy snail mail every so often. And I got just that! My blogging buddy KariAnne Wood from Thistlewood Farms sent me a sweet little surprise package… along with her new book! Another one. 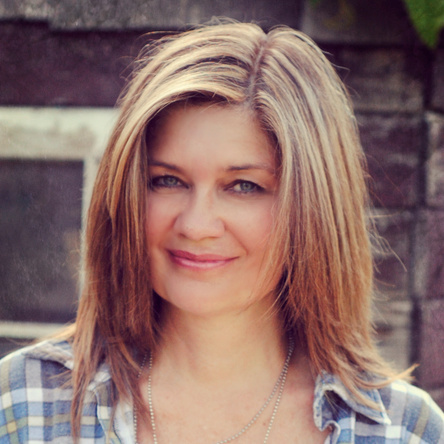 Girl… you are on book-writin’ fire! HERE are all KariAnne’s books to date. 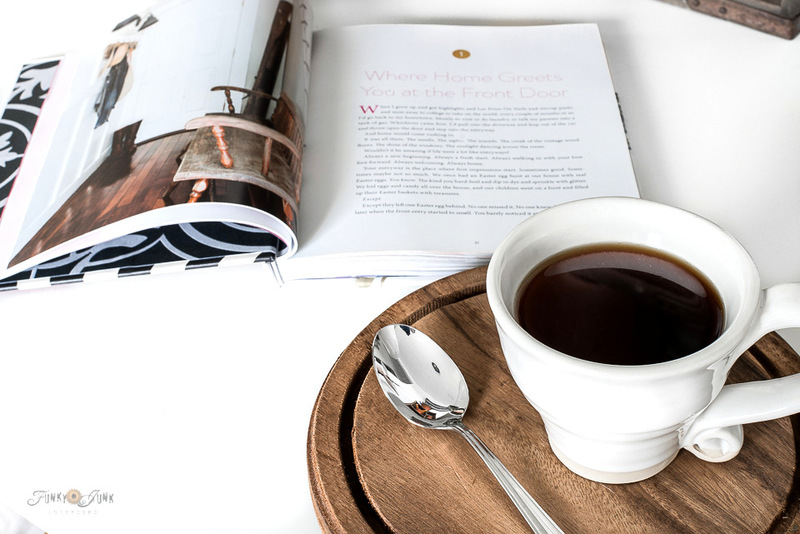 Giddy, I cracked open a pretty shipping box to find a few beautiful farmhouse-styled trinkets and an amazing hard covered book. 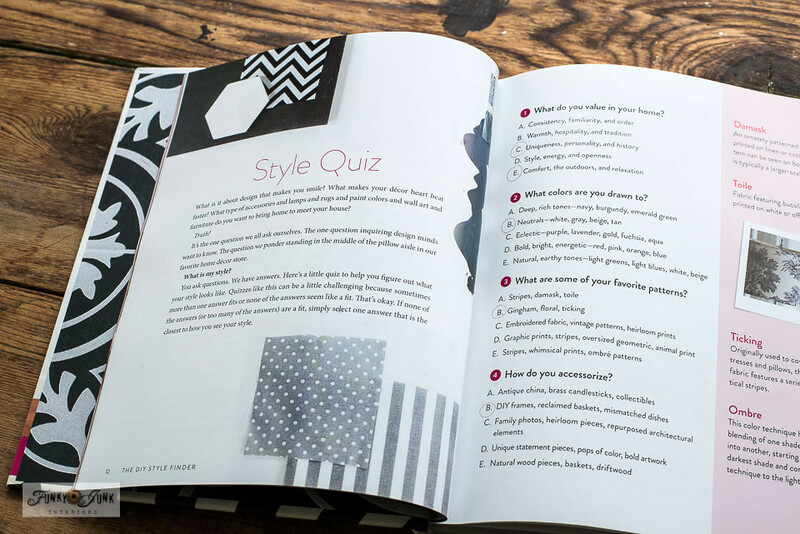 It was about how to discover your style and achieve your look with examples in nearly every single room of your home! For the most part, I kinda think of myself as having ‘no’ particular style… I mean, where does one learn about Dumpster Dive Chic or Burn Pile Palooza?! However, after taking the quiz that is built to help determine what your style is, I indeed landed on top of ‘Farmhouse’. 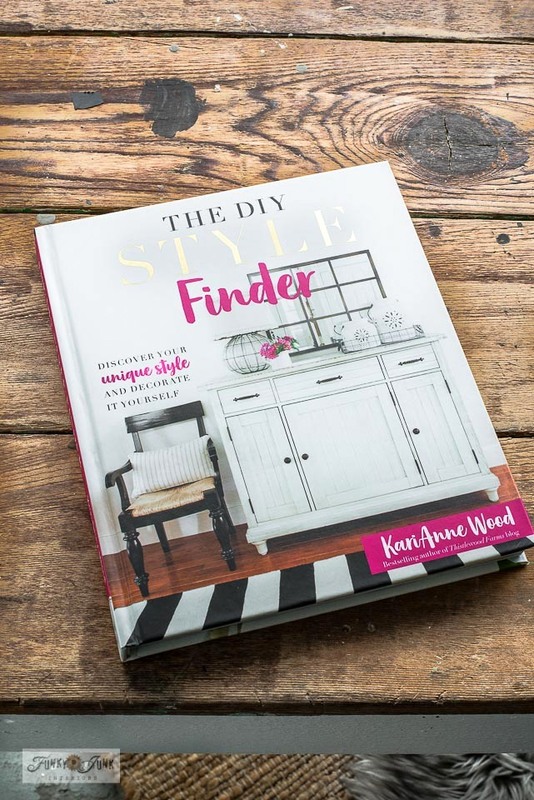 Based on the description of loving galvanized metal, wicker baskets, architectural pieces, chicken coops and…. grain sack stripes? Oh yes… this is most definitely me! 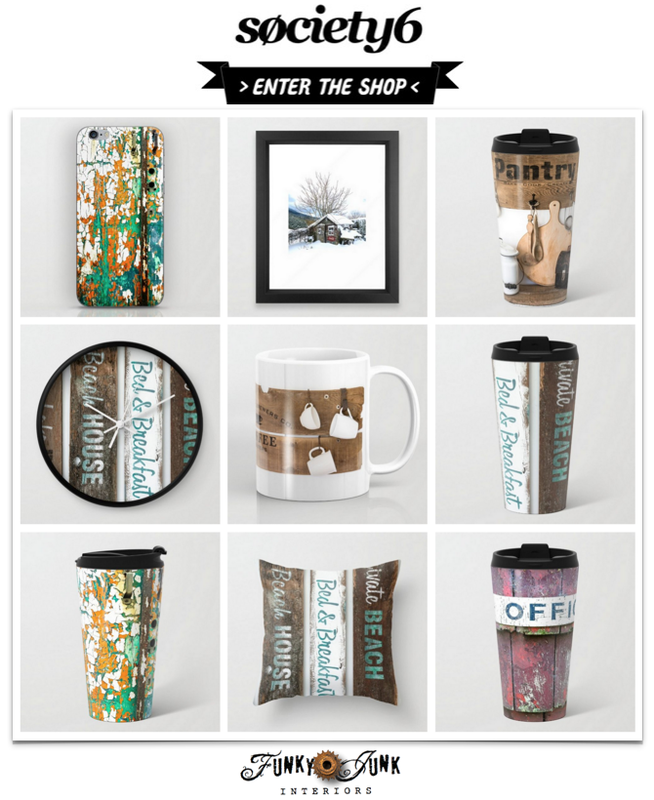 Farmhouse is described as warm and welcoming, with vintage and texture layered in. And for me it’s also about repurposing pieces so they can help tell YOUR stories. I love a good piece with a story attached! 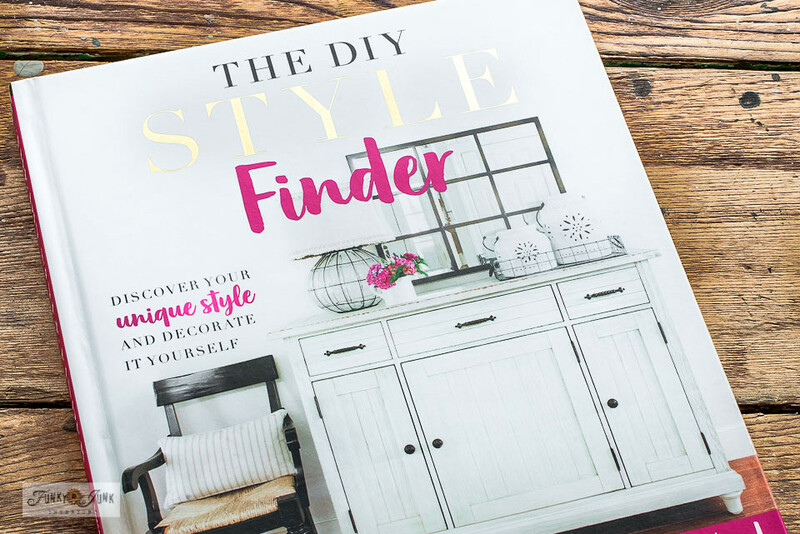 I personally find EVERY section of the book showcases gorgeous decorating ideas and elements I absolutely adore, no matter what style. 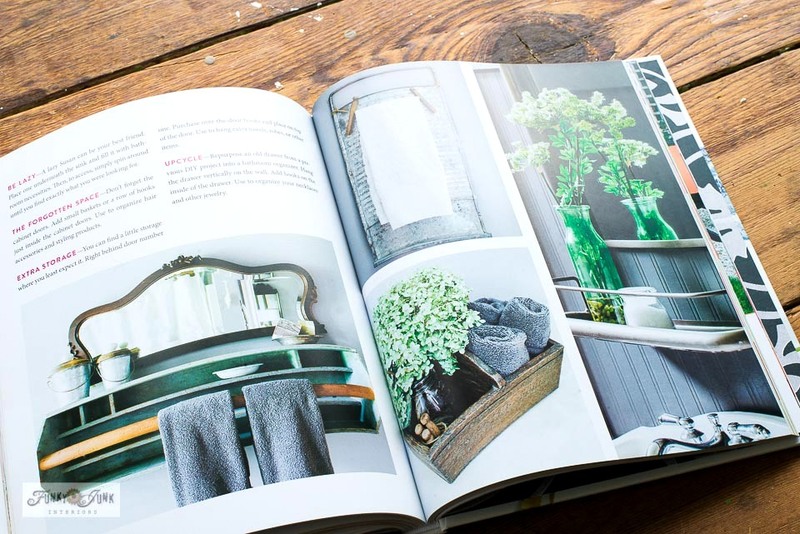 It’s an outstandingly pretty and timeless decor picture book that is like reading an epic blog post on paper that doesn’t end for a long time. Inspired by the grain sack stripe mention, I decided to create a new project to chime in! 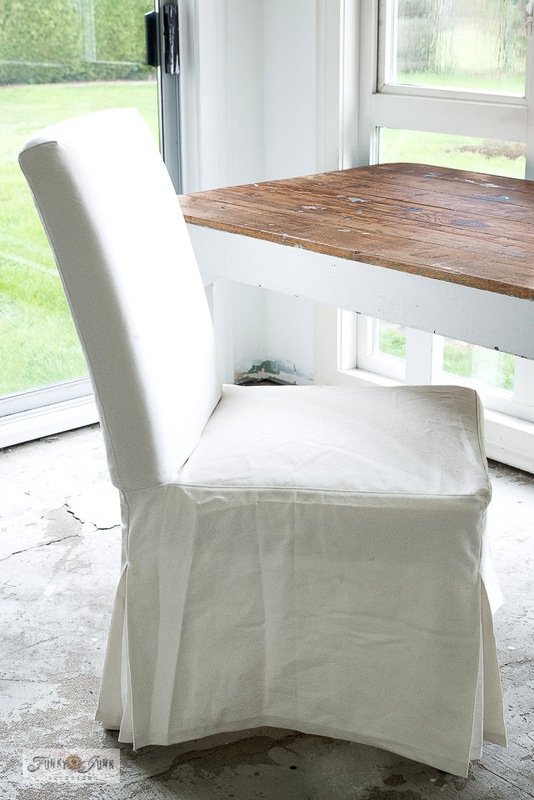 Let’s make a pretty chair that has the perfect vintage-farmhouse touch! 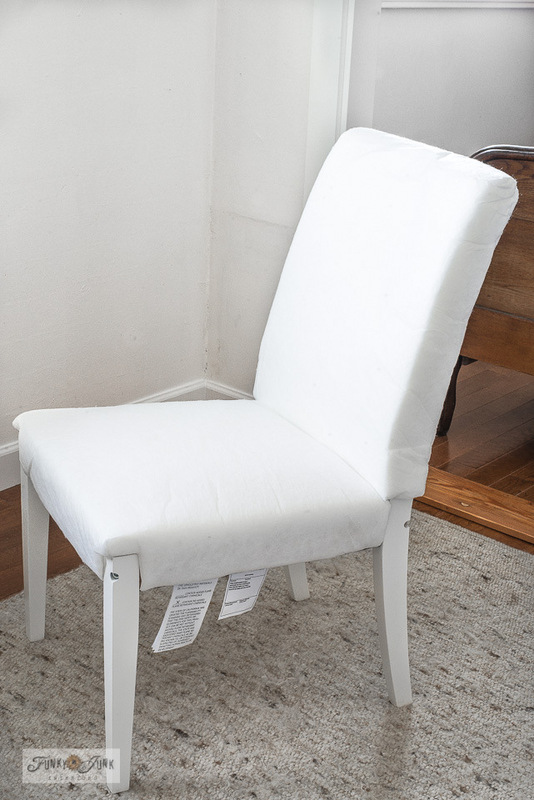 The chair that came with a white slipcover is called Henriksdal. Game on, Ikea! I love the way your Survivor puzzles magically just turn into furniture. 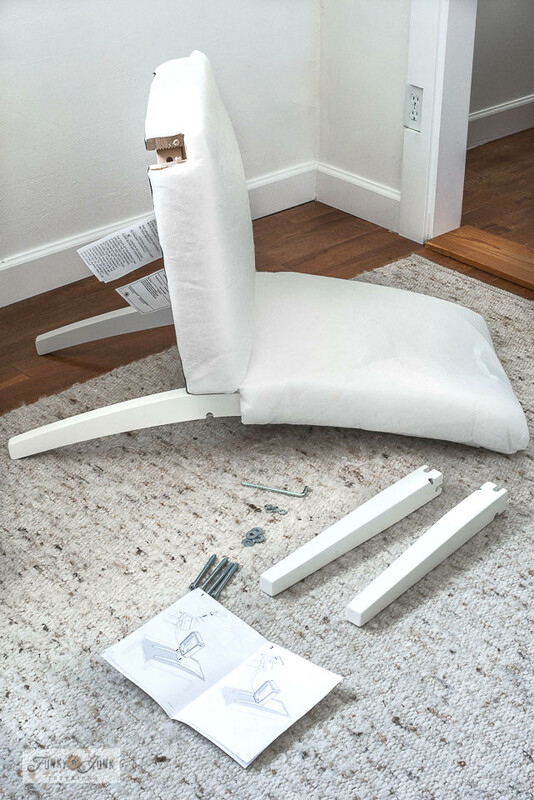 I was surprised that the chair frame had such a beautiful white finish! I expected unfinished so this was definitely a bonus. 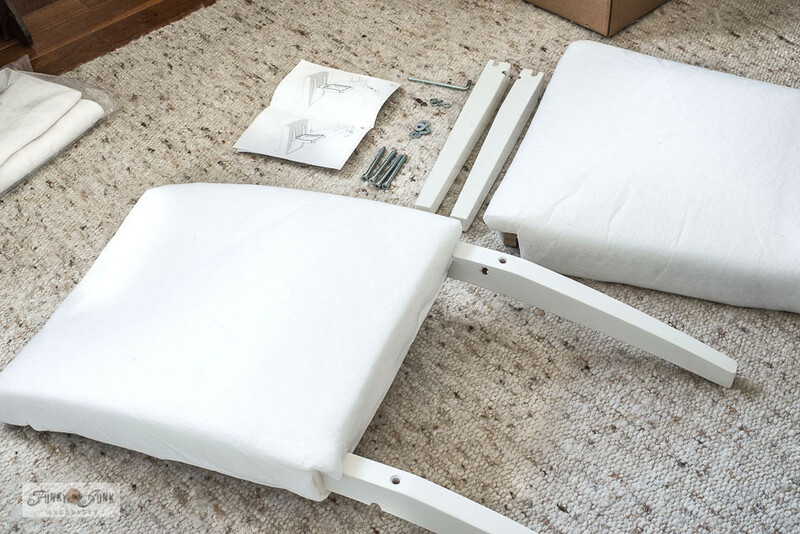 The chair assembled so fast! And it’s also nice that you can really tighten the screws. The demo chairs in Ikea are generally wobbly so I wouldn’t go by those for sturdiness AT ALL. 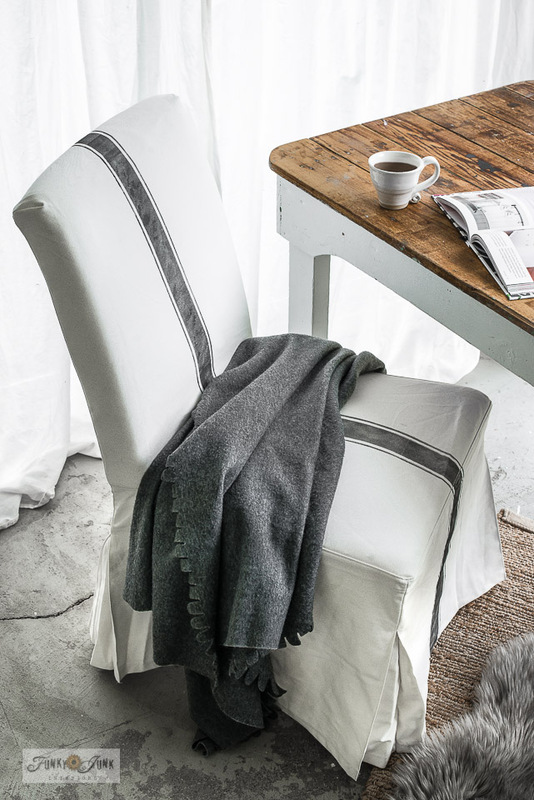 Well-padded, with even a little spring in the seat! It’s pretty comfy! The back has a slight backwards curve so you even get to lean back a little, which was a very happy surprise. 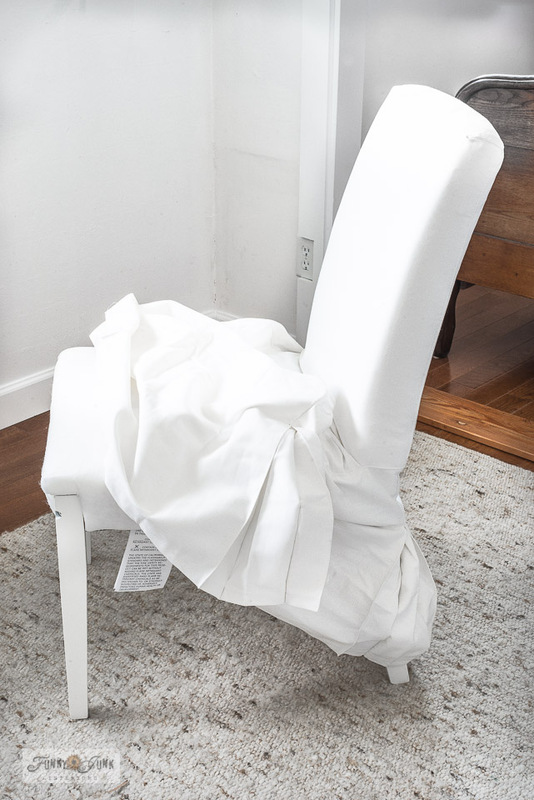 The white slipcover is skirted and all came in one piece. The back slid on first, then the rest simply positioned into place in seconds. However also very plain. 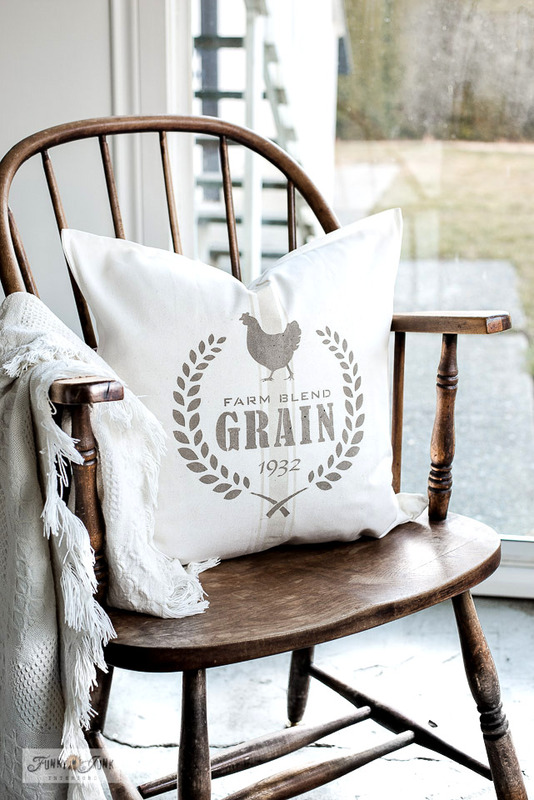 Let’s farmhouse-style up this little number with a beefy grain sack stripe from a stencil! 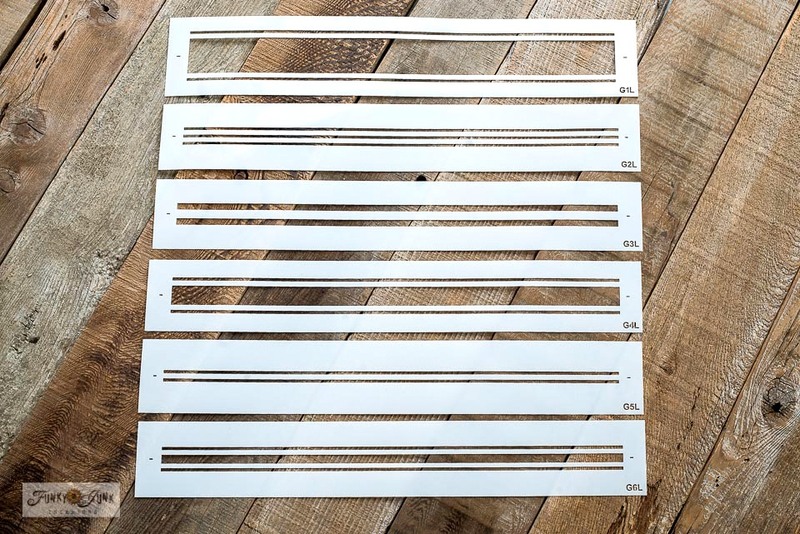 First up was choosing 1 of 6 Grain Sack Stripe stencils. G1L was my chosen one this round due to not wishing for anything else on the chair but the stripe to shine all on its own. 1. 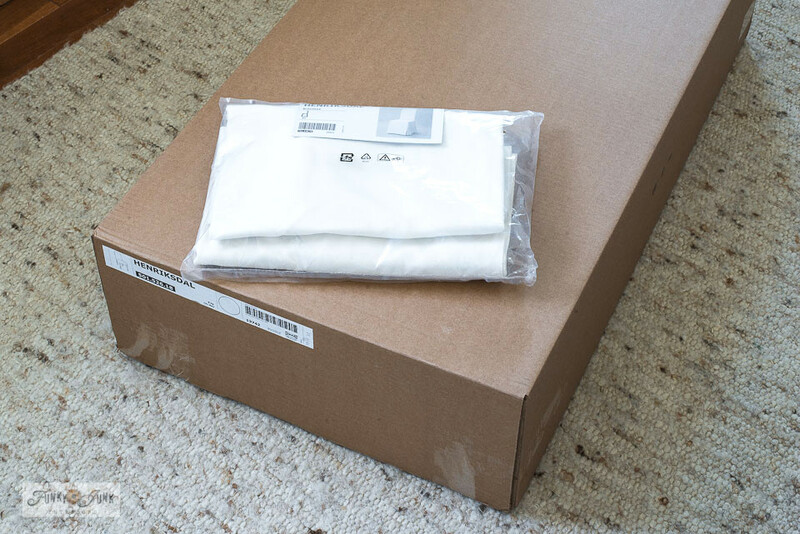 The slipcover was laid as flat as possible. 2. Page protectors were inserted inside the slipcover to avoid paint bleeding through. 3. Masking tape was used to help stretch out the fabric and keep it as flat as possible. 4. 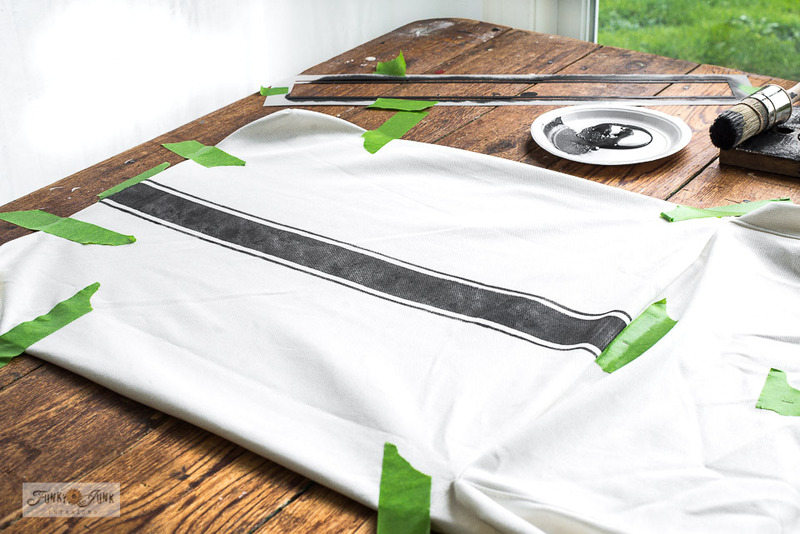 The Grain Sack Stripe stencil was centred, then masking-taped into place. 6. 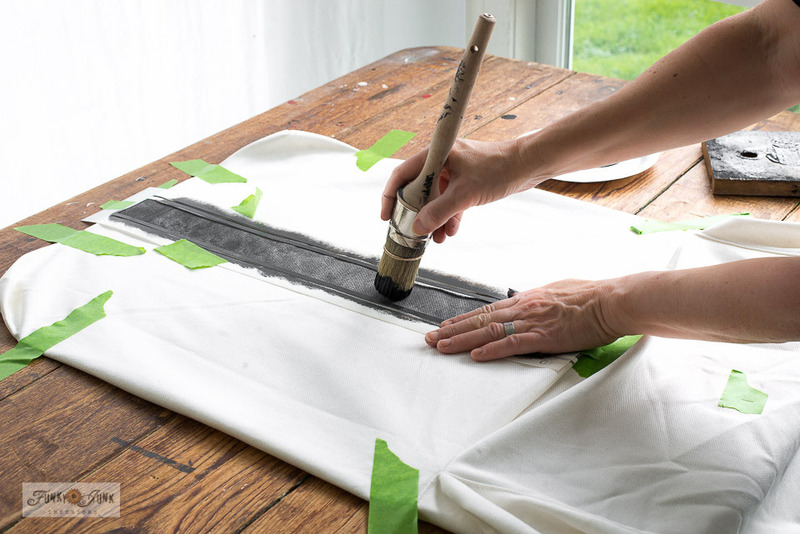 Load the stencil brush with paint, then remove most onto a rag. 7. Holding your hand across the stencil near where you are painting to help keep it in place, tap the stencil brush until coverage is completed. Allow paint to dry, then move onto a next section repeating all the steps. I stencilled the entire front and back, including the skirt right down to the floor. 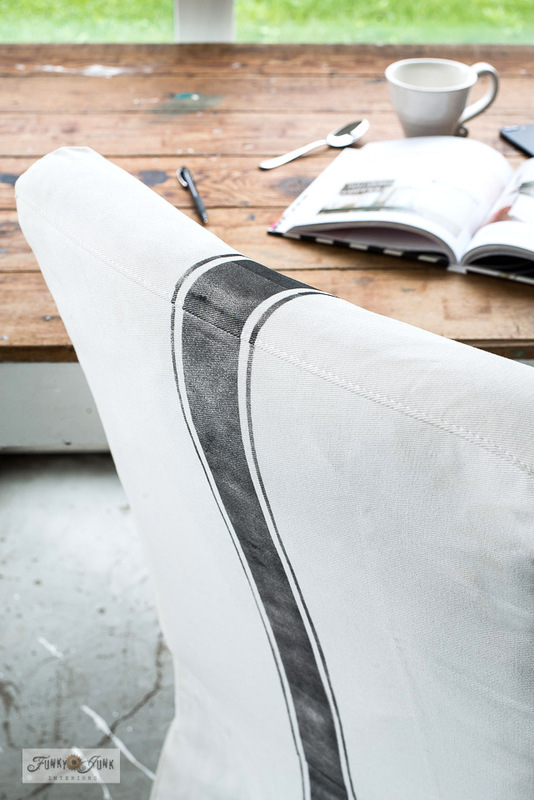 Tip: I suggest to practice on scrap fabric before doing the slipcover until you achieve the ‘look’ you desire. My preference was when the brush got super dry and left a weathered-stripe appearance. LOVE it so much! Perfection! This was exactly the look I was going for and I am so pleased that the perfect tone of Ash and that big bold Grain Sack Stripe was able to bring it to life! 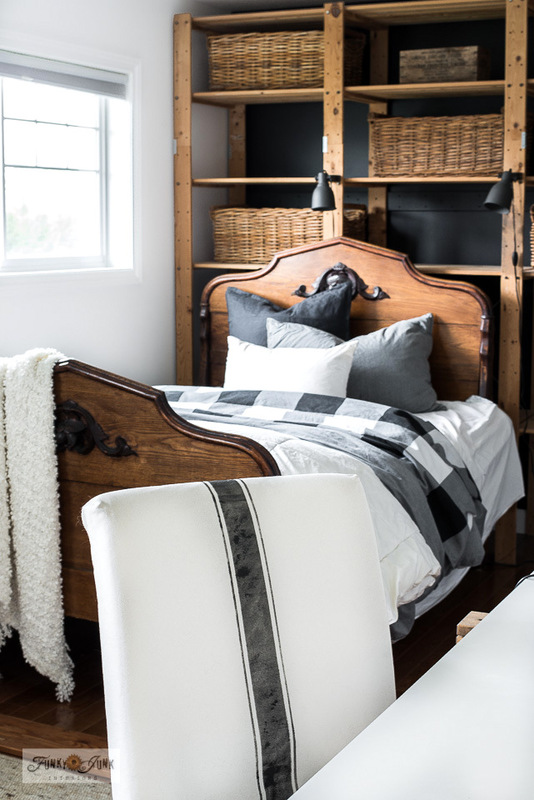 I cannot even tell you how beautiful it looks against the black wall with antique bed in the guest room! 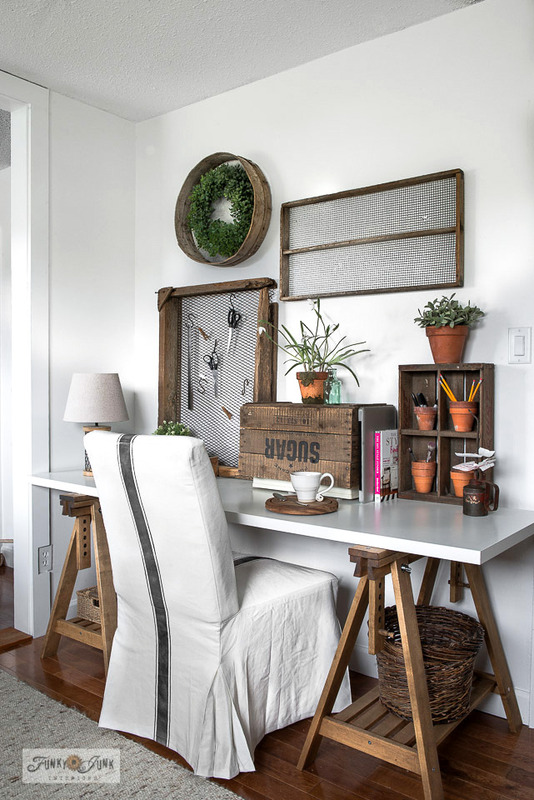 And remember the trestle sewing desk post HERE? Now it’s comfy for sewing OR as a cozy little office nook! Click above to watch a short video of the chair building and stencilling process. Yup KariAnne, you totally nailed me on farmhouse. Thank-you for the inspiration for one more completed step in this room! What do you think of this style of chair? Isn’t it the cutest?! could demonstrate the use of page protectors in this project. i do not understand where the page protectors go. Well of course I love the stripe, I have matching chairs that I had to tape off since your brilliance to create an easy stencil hadn’t hit yet. Haha, yes, I remember those days very well myself! WOW what a great look – love the way this room is coming together with your own signature style, Miss Donna! Thank-you Deb! I’m really enjoying this one! Completely finishing a room from start to final finish has proved to create way more interesting projects than I imagined it would! 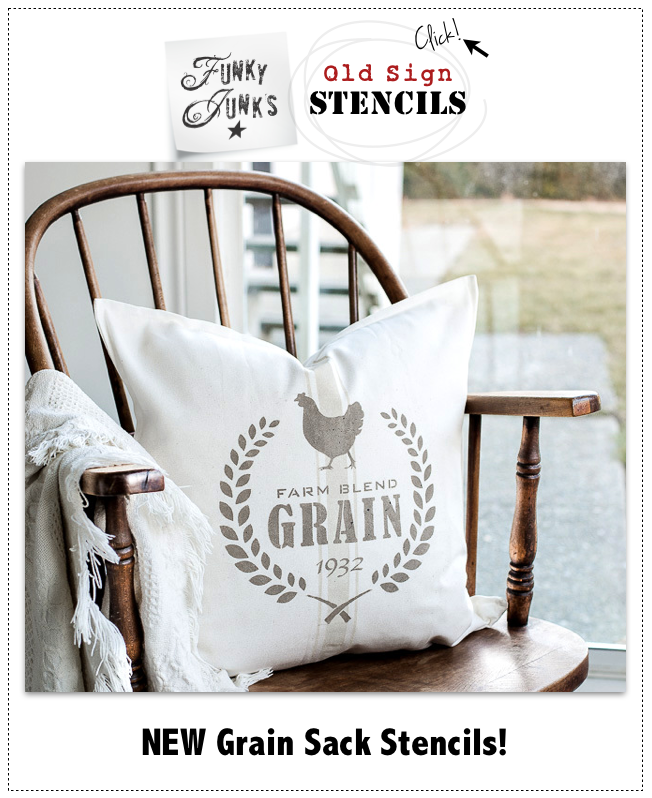 Another great addition to your sewing/office/guest room project Donna – I love your grain stripe stencils and use them over and over again. Thanks Joy! And it goes without saying, I always appreciate your support and the beautiful projects you share! This room is so well done. Mindfully done. Awesome! Room looks very nice. Is this paint a specific to painting on fabric? 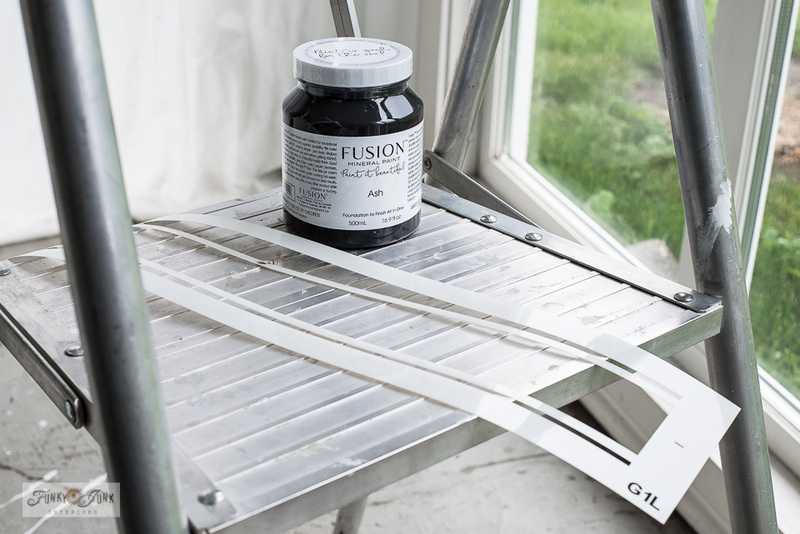 Hi Kathleen, Fusion is a furniture paint that works exceptionally well on fabric. It is not specific to fabric though. 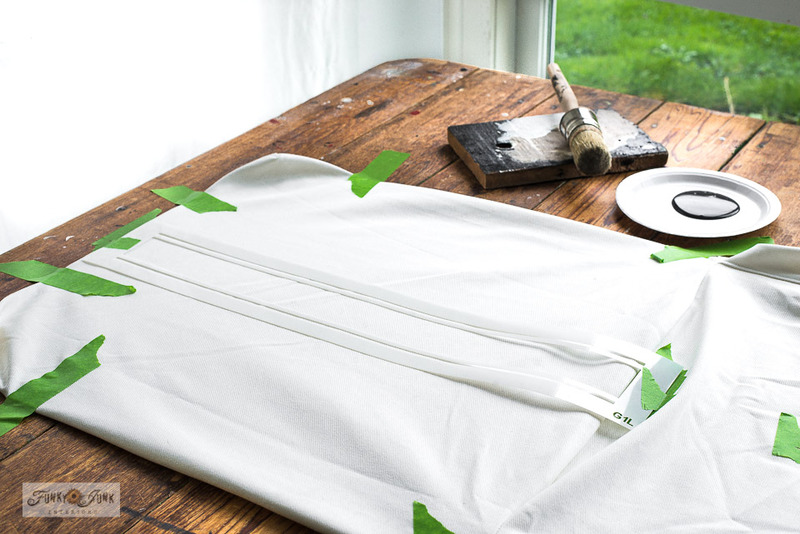 I would suggest to test it on a smaller item such as a tea towel to ensure you get the washing results you are after. I’ve been very happy with it on a painter’s drop cloth myself!